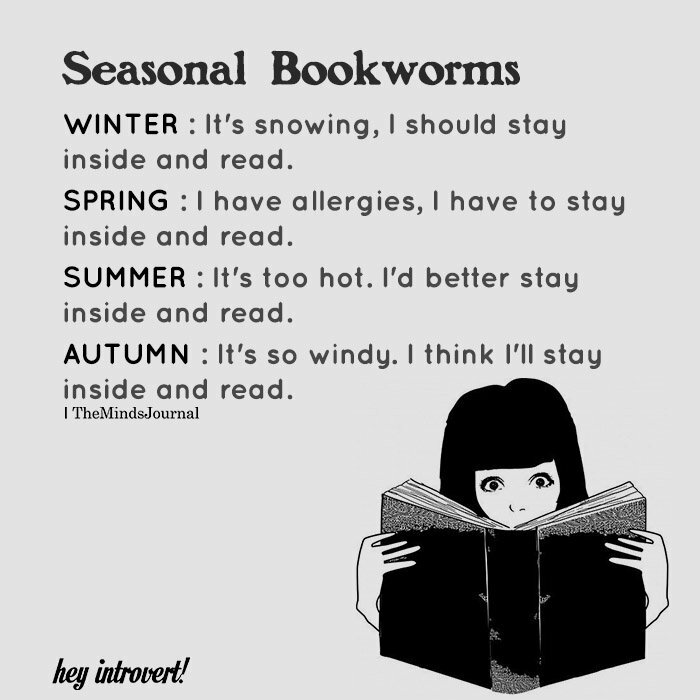 Winter: It’s snowing, I should stay inside and read. Spring: I have allergies, I have to stay inside and read. Summer: It’s too hot. I’d better stay inside and read. Autumn: It’s so windy. I think I’ll stay inside and read.